Since Patient Care Technician (PCT) is a very high in-demand and respectable occupation in addition to flexible work hours. Therefore Patient Care Technician (PCT) is a very valuable member of the healthcare team. Param Institute of Education provides the highest quality education and help in placement also. Join our Patient Care Technician (PCT) Program and open the great doors into the Healthcare Industry with job stability. Contact for course details just today and secure your admission. The following answers shall help you to make an informed decision, based on the day-to-day work of a Patient Care Technician, profession, career outlook, and the training involved. Q: What is Certified Patient Care Technician Program? 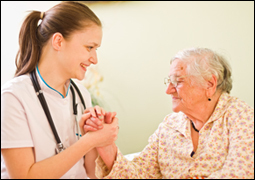 Patient Care Technician (PCT) can perform a wide variety of tasks. 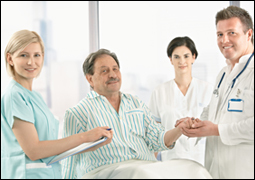 Patient Care Technicians are caregivers with a high level of patience and compassion for Patents who requires assistance. Q: Where do Patient Care Technician work? A Patient Care Technician is the important member of healthcare team so works in hospitals, nursing homes, long-term residential care facilities, hospices, Veterans Affairs hospitals, and private homes alongside doctors and nurses. The total cost of the Patient Care Technician program is very small as compared to other vocational-technical programs. For information, please visit our school or call our Admission Coordinator for details. Q: What does the education program in Patient Care Technician consist of? The Certified Patient Care Technician program at Param Institute of Education (PIE) could be completed in as little as 16 weeks. 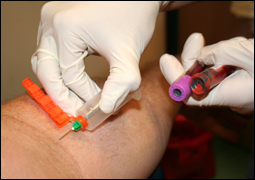 The program contains a total of 400 hours of training which consists of Nursing Aide, Phlebotomy, EKG and Patient care training. The program also includes 155 hours of mandatory externship at one of our designated clinical sites. Upon completion of this program, you will be eligible to take the Certification exam from National Healthcareer Association (NHA). It is 2-hour Exam with 120 Multiple choice questions. Q: Are there Jobs available for me in the field of Patient Care Technician?